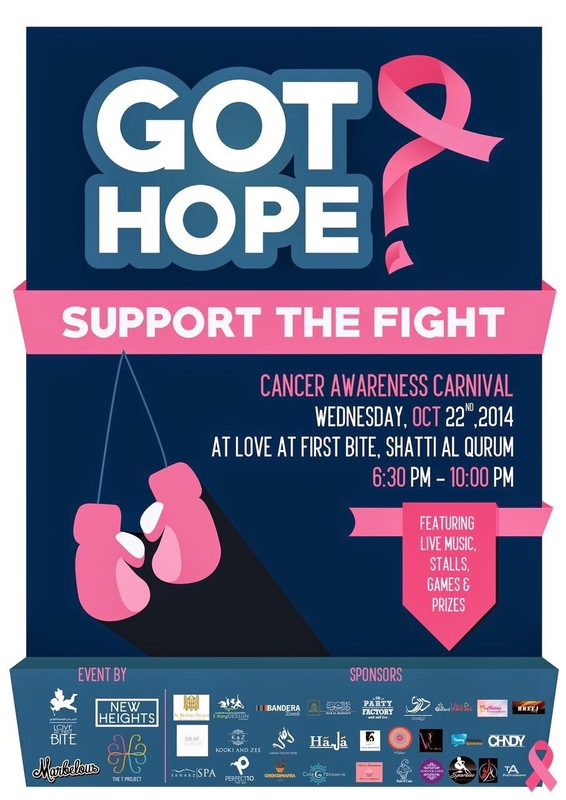 Tonight between 6:30 and 10pm there is the Cancer Awareness Carnival taking place at Love at first bite in Shatti al Qurum. There will be live music, stalls selling stuff, games and prizes on offer. As a recent Breast Cancer survivor i can attest to the research and support that goes into this very worthy cause. If people had mot raised money in the past, many of us would mot be here to tell a happier tale.